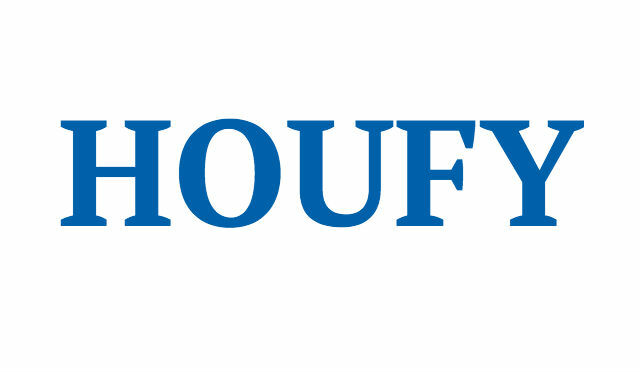 To follow Griff Hughes, please log in to Houfy or create an account. We have been renting condos in Branson since 2004 and this is our newest one. It's a 3 bedroom, 3 bath condo that we totally remodeled in 2016, plus a kitchen backsplash was added in 2017! All new window coverings in 2018! It has all new furniture, new appliances, new flooring, ceiling fans, new paint, and refinished cabinets and countertops. It is a walk in level condo which means there is no stairs! The complex offers an outdoor pool, tennis court, and small playground. It is located on Thousand Hills golf course (second row of buildings) and is just 4 blocks from highway 76. The condo has three king beds and a queen size sofa sleeper. The sofa sleeper has an extra thick mattress and no back bar that sleepers are notorious for. Each bedroom has a 32" flat screen TV with a DVD player. The DVD players allow you to connect to your own Netflix account! The living room has a 50" flat screen with another smart DVD player. There is free Wi-Fi in the condo. There is a glassed /screened in patio with a nice view of parts of the golf course. The heated, outdoor swimming pool is 6/10 of a mile from the condo. There are public restrooms on site. The kitchen is fully stocked with everything you need to cook and eat there. We have a beautiful 8 seat dining table plus 3 nearby bar stools at the counter. The kitchen as all new stainless steel appliances: fridge with ice maker, range / oven, dishwasher, and microwave. Dishwasher detergent is provided. There is a coffee maker with individual packets of coffee, sugar, and creamer. There is a new washer and dryer set so you don't have to go home with dirty clothes. We provide detergent. There is a tub / shower combination with whirlpool jets in one bathroom, and two showers in the other bathrooms. Two bathrooms have double sinks. We supply TP, paper towels, shampoo, body wash, trash bags, dertergents, and bath towels. There is a community charcoal grill available to our guests. We do not collect a deposit. No smoking Not suitable for pets No parties or events Check-in is anytime after 4PM Check out by 10AM Max of 8 guests (children and adults combined) Must be at least one person in group 25 years old, or older. No pets No smoking Upon departure, must take out trash, load and start dishwasher, wash towels used and start in the dryer. Bonus Points for These House Rules: Brush your teeth No hitting Play nice Listen to your parents Say please & thank you Be awesome!